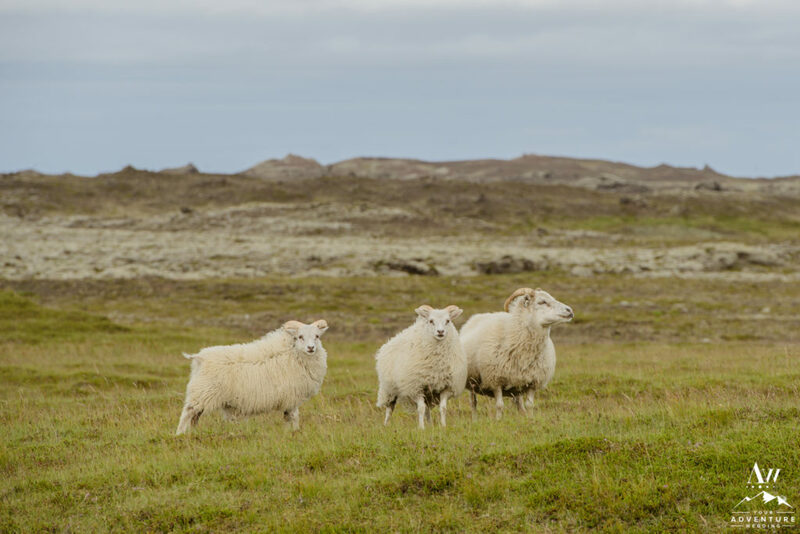 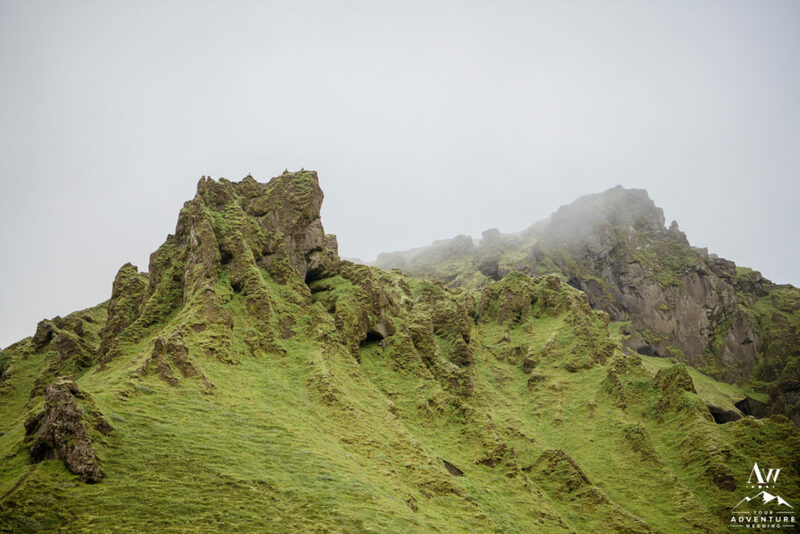 When you explore Iceland… You will leave with a heightened level of inspiration. 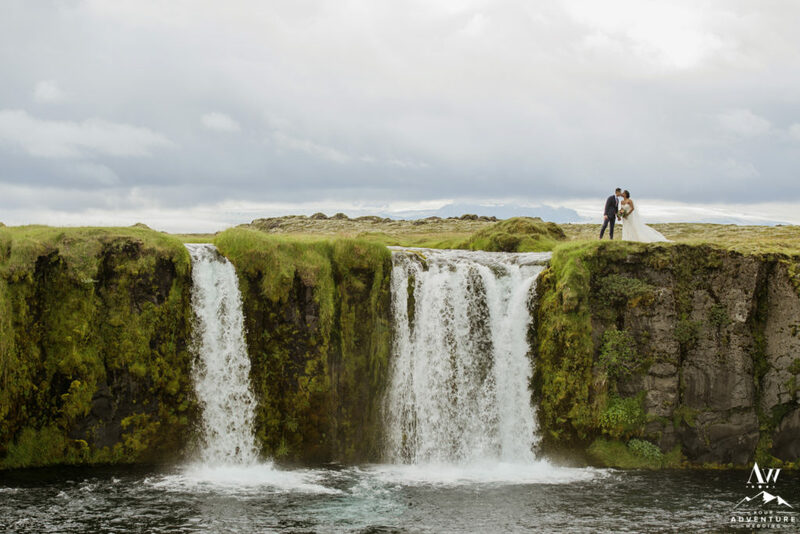 Others may fall deeper in love with each other. 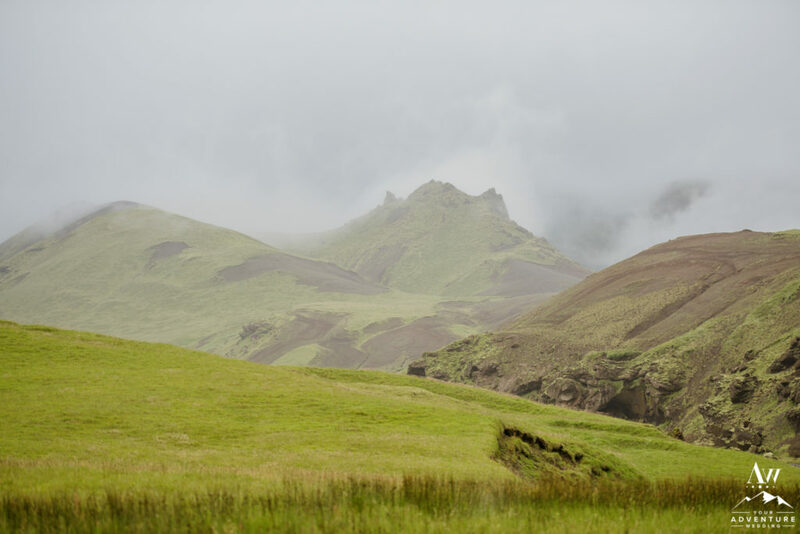 Either way, there is a VERY good chance you’ll become borderline obsessed with the dynamic landscape and cannot wait to come back! 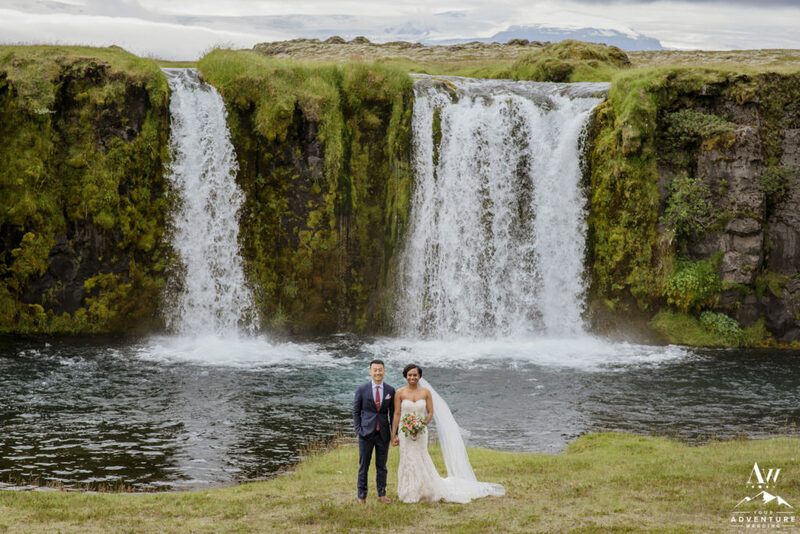 Didi and Nick, not only had all of the above happen during their first trip but they also left Iceland, engaged! 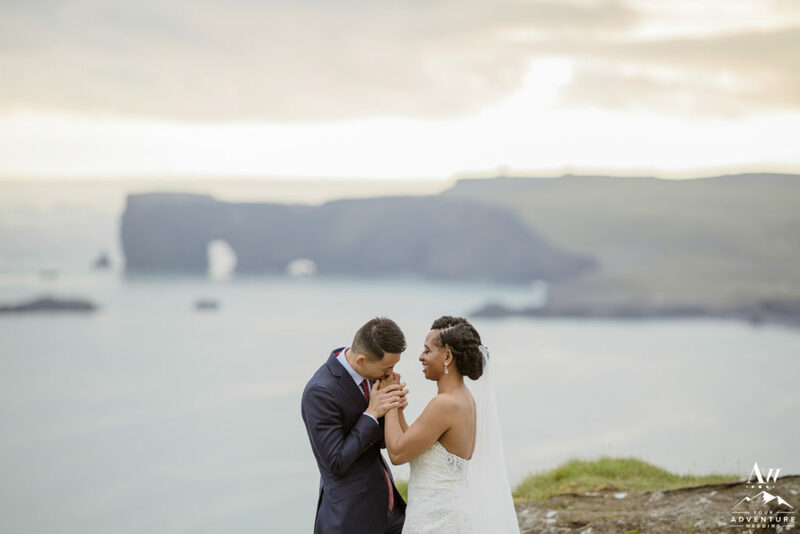 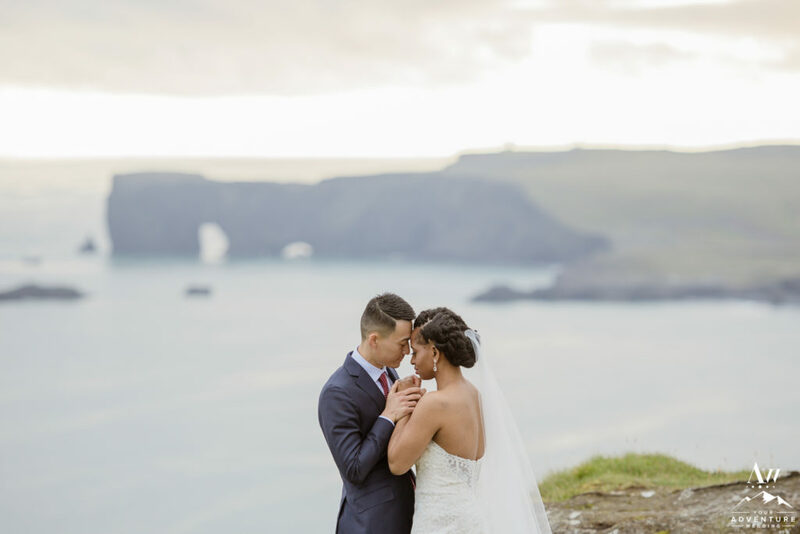 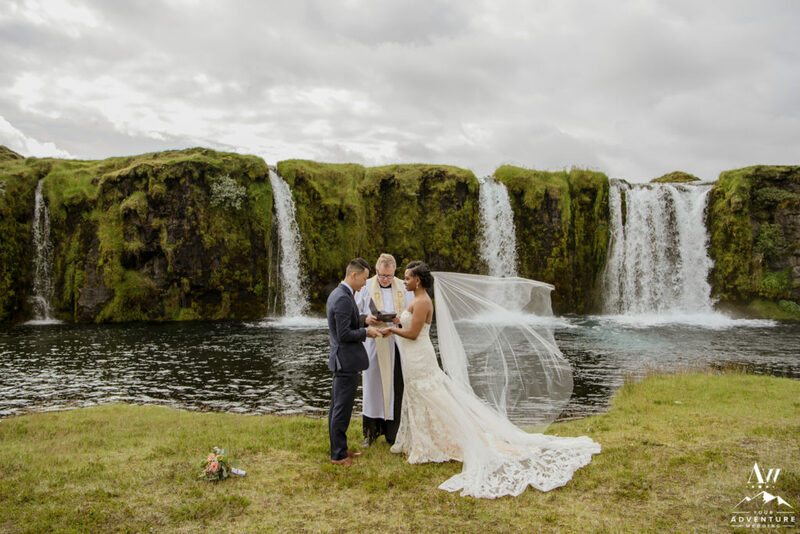 So after coming home and chatting about where in the the world to marry would make the most sense for them… They decided that nowhere else on the planet had left such an imprint on their hearts than Iceland did! 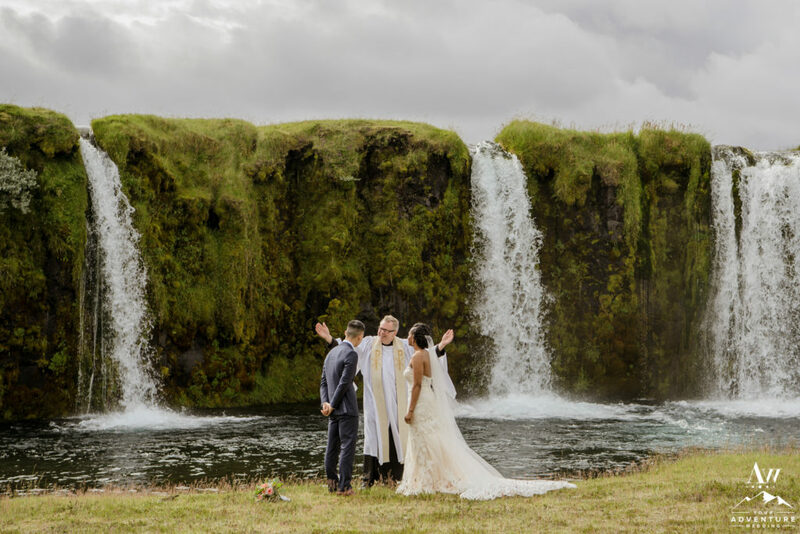 But then came the big debate on if they would bring their 75 closest friends and family to experience an Iceland wedding adventure. 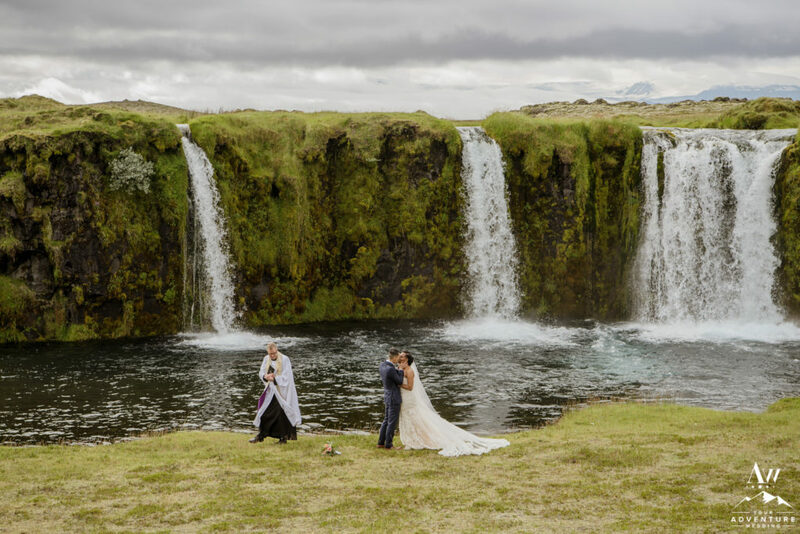 Or did it feel more right to do something more intimate and just for them and elope in Iceland instead. 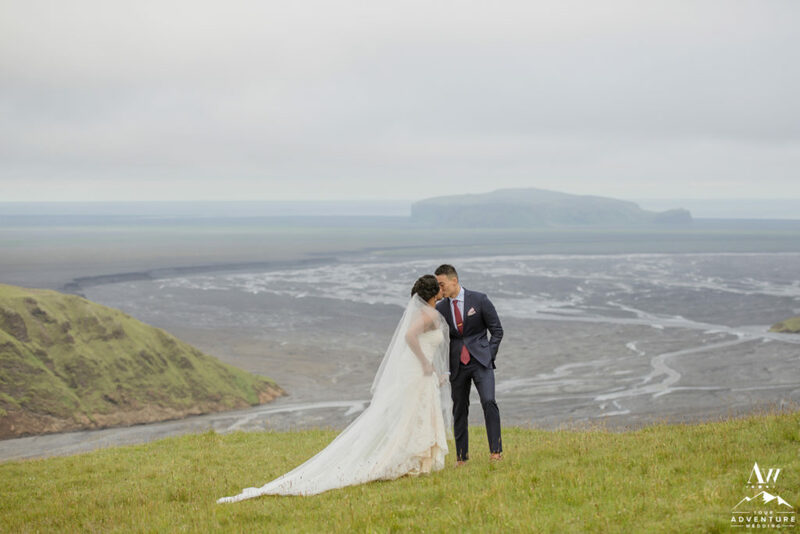 Eloping in Iceland, won in the end! 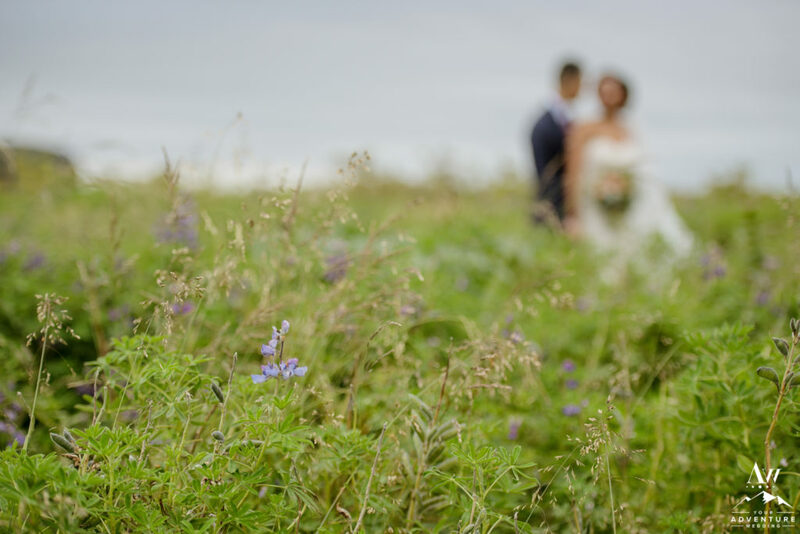 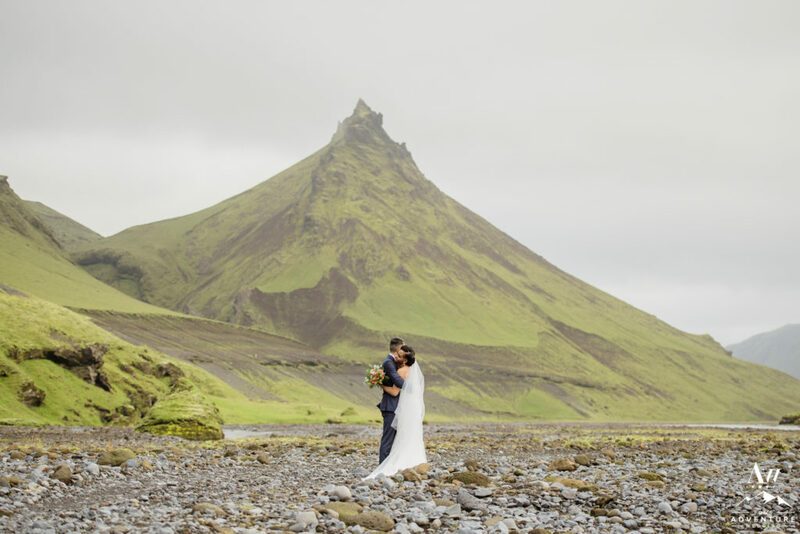 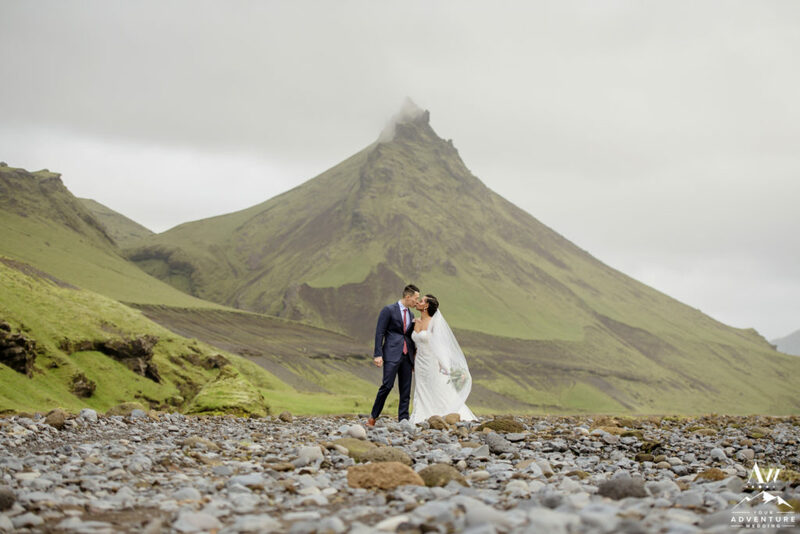 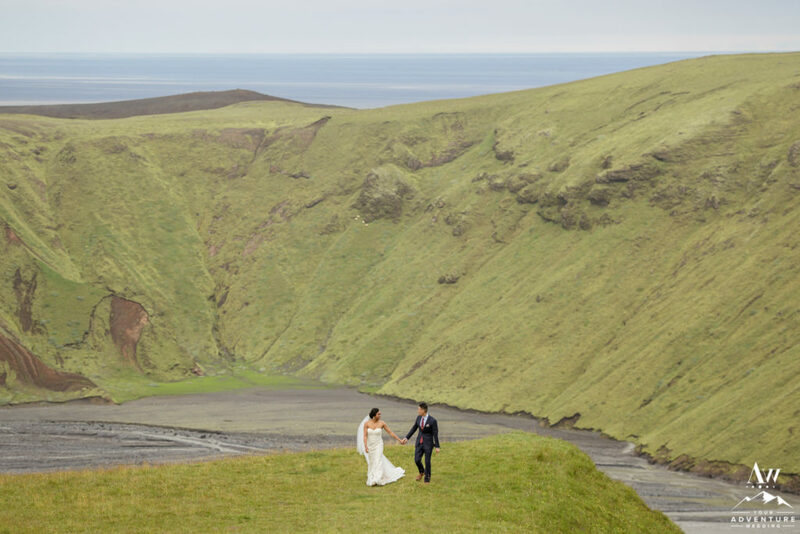 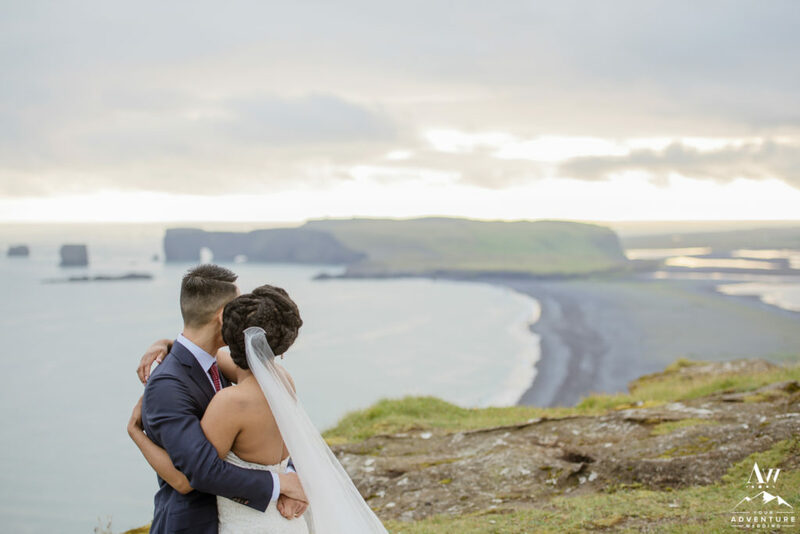 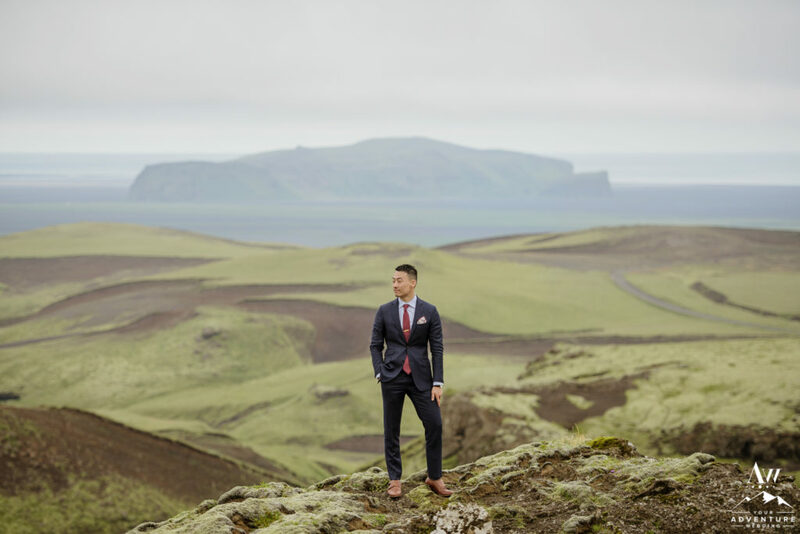 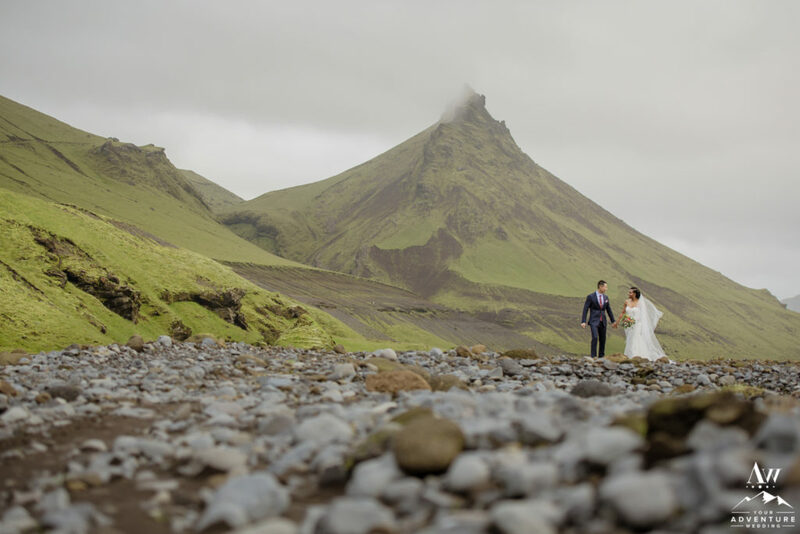 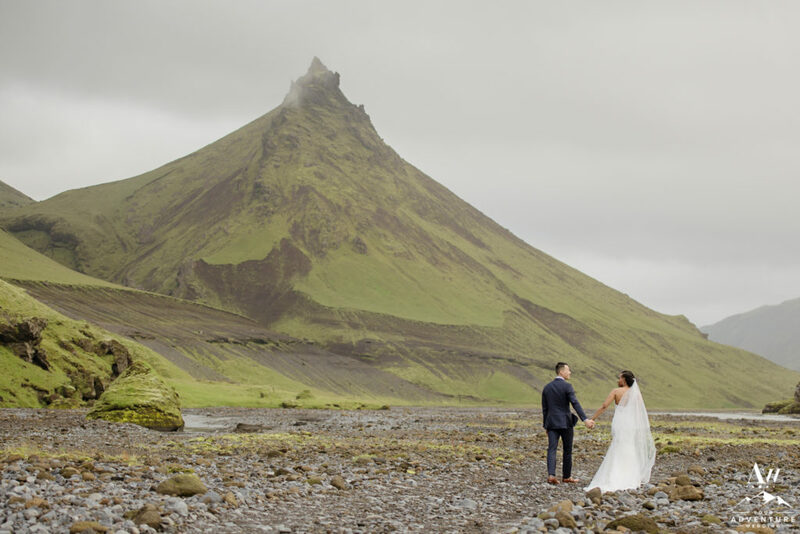 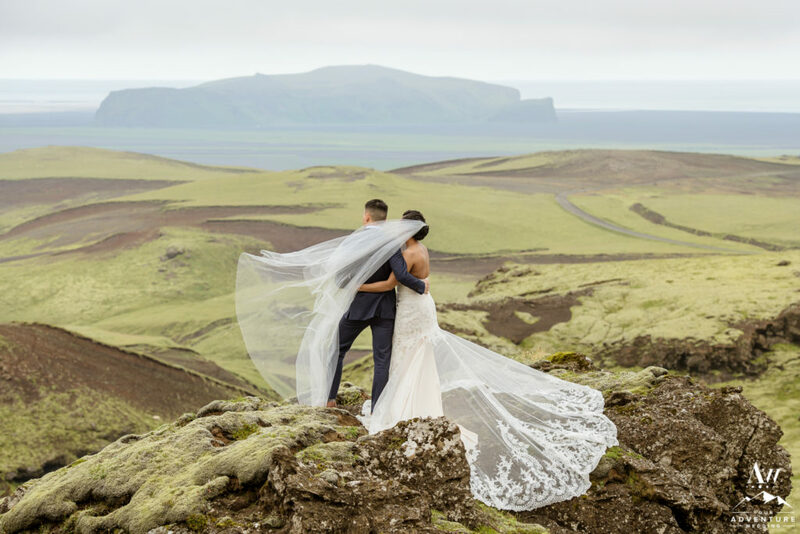 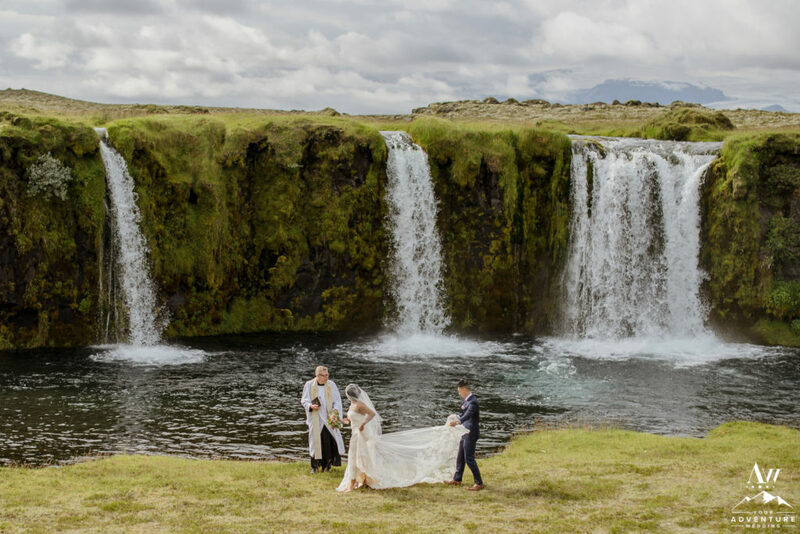 We are experts in providing an Iceland wedding day adventure in private and offbeat locations away from the tourist locales. 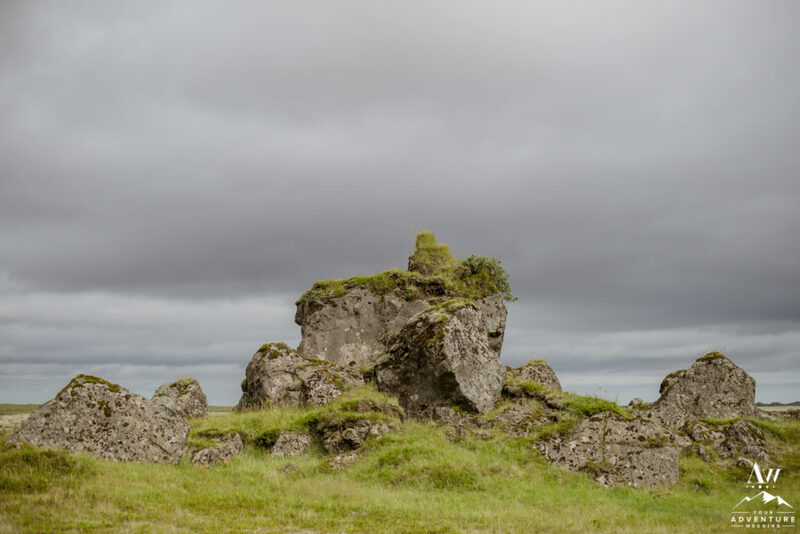 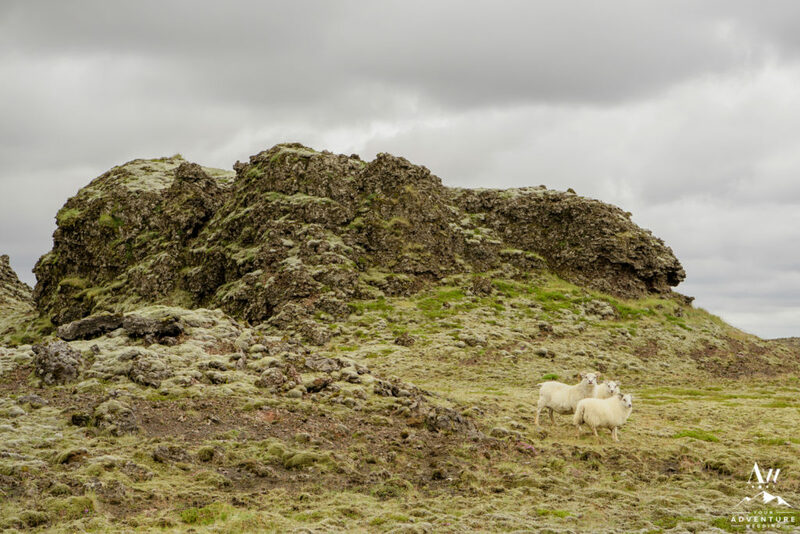 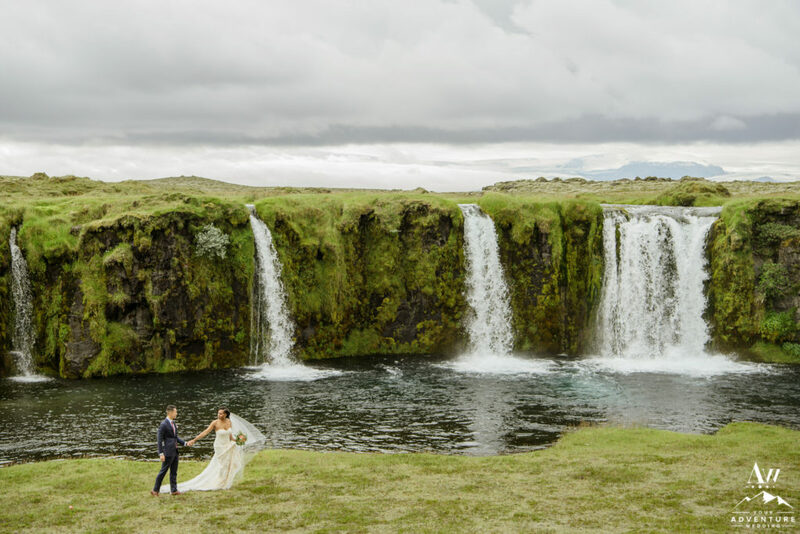 Our general rule of thumb is that if a bus can get there, our Iceland wedding planning team does not go there. 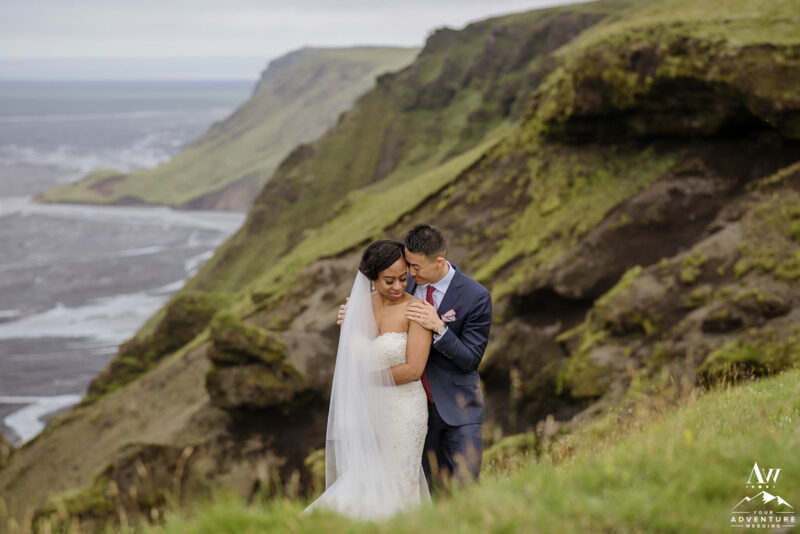 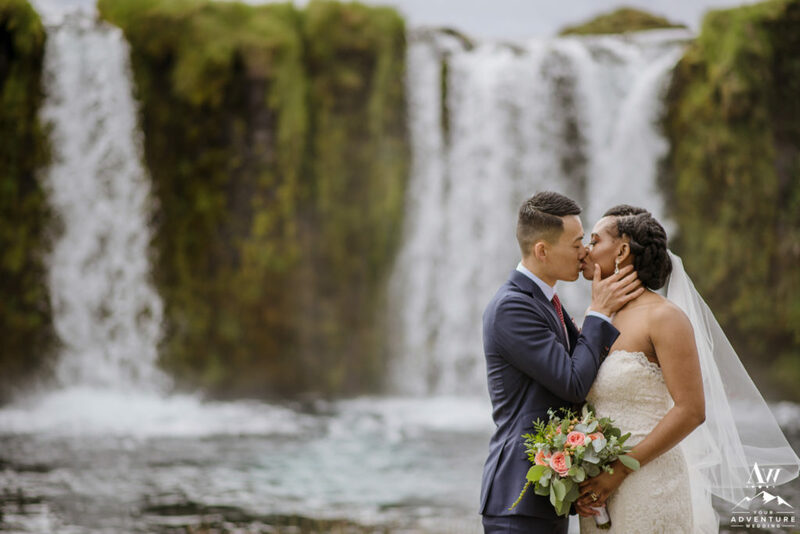 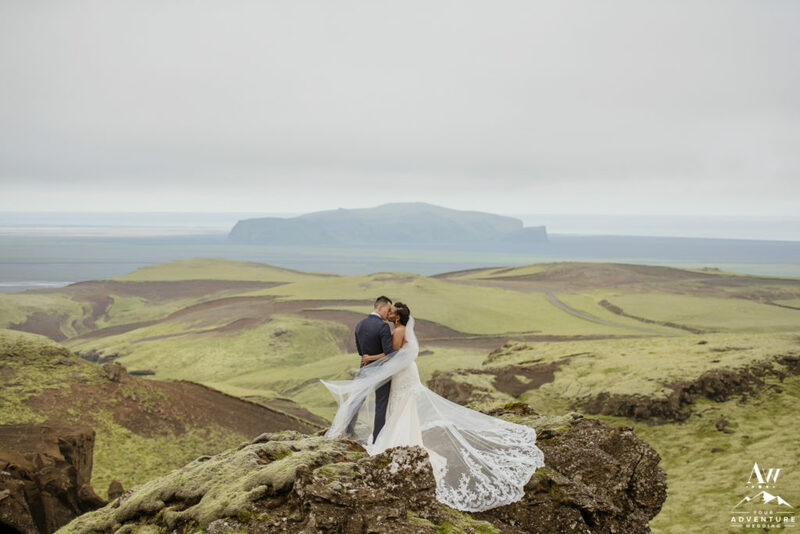 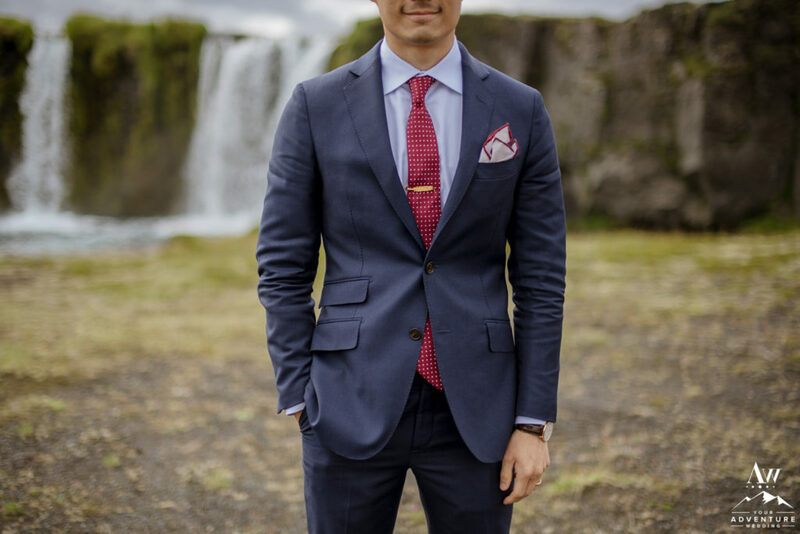 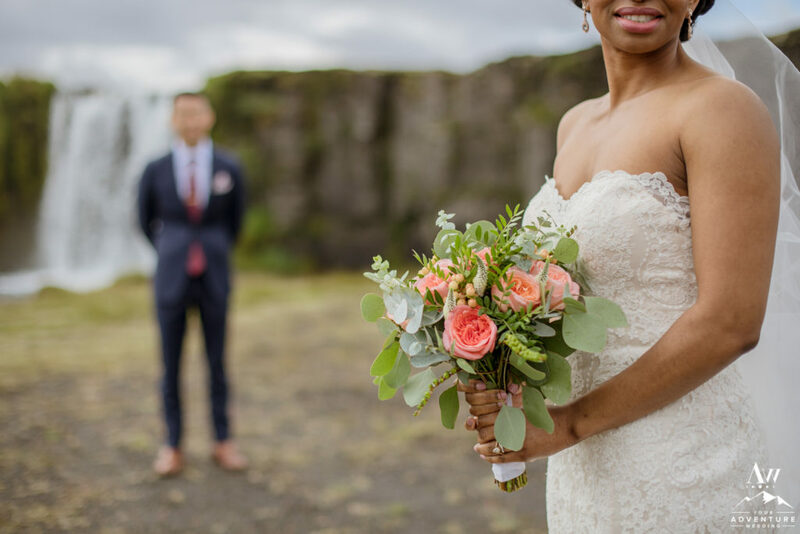 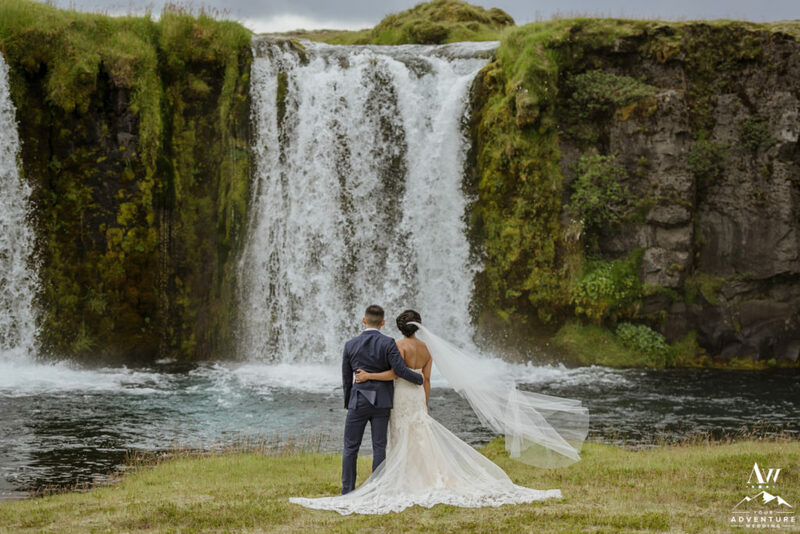 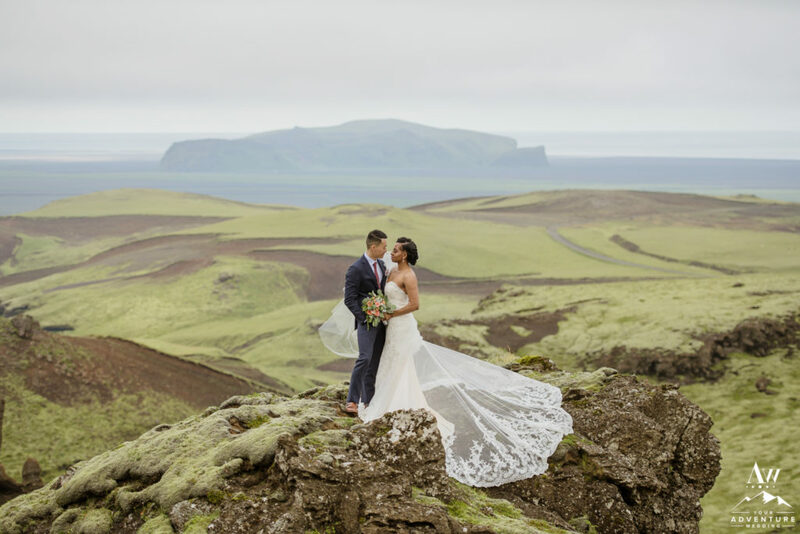 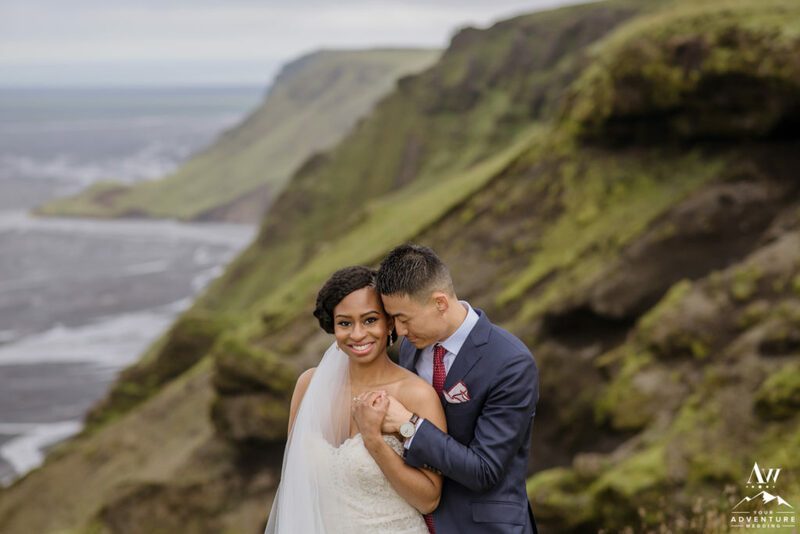 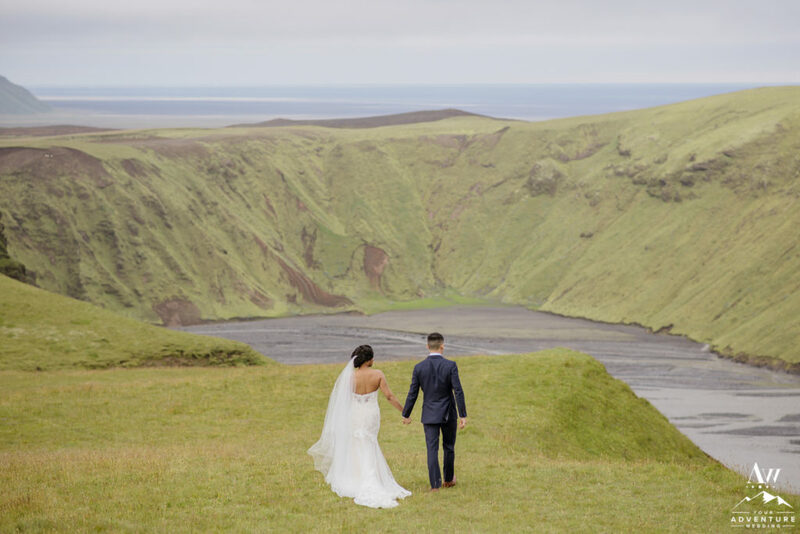 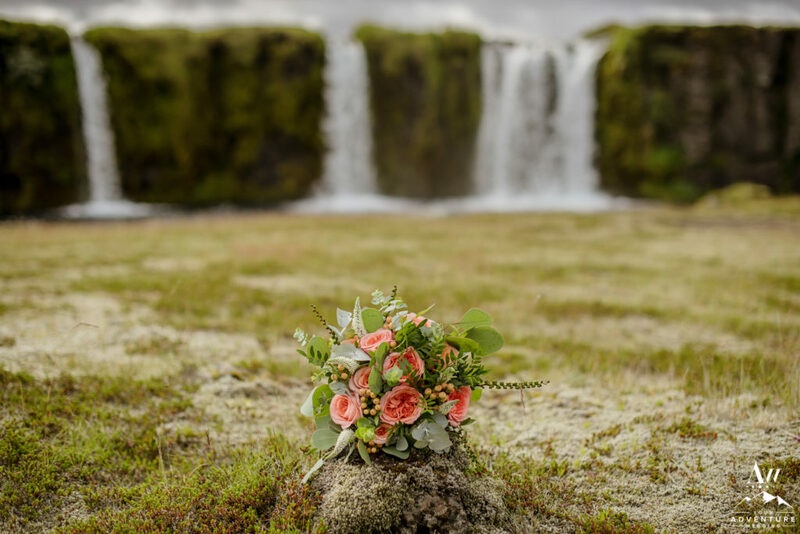 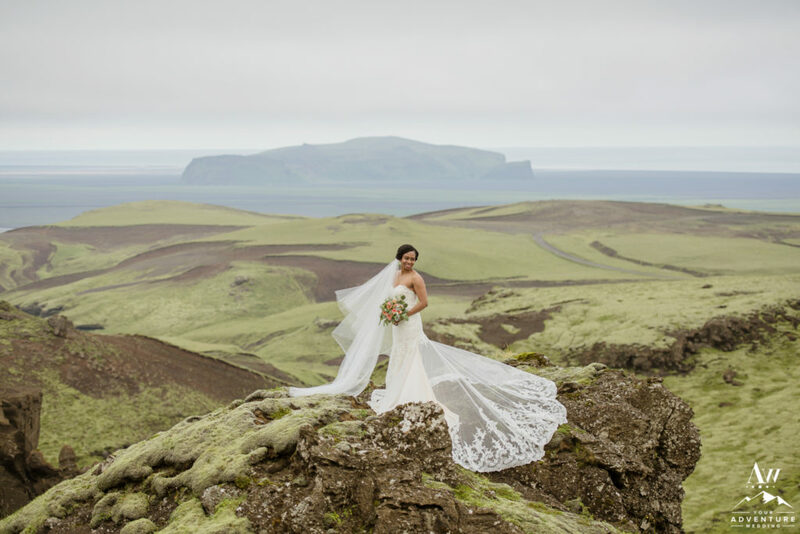 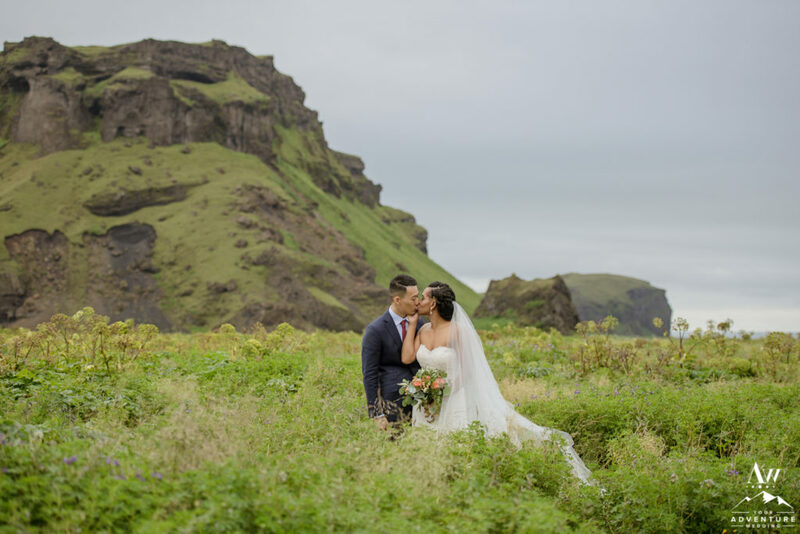 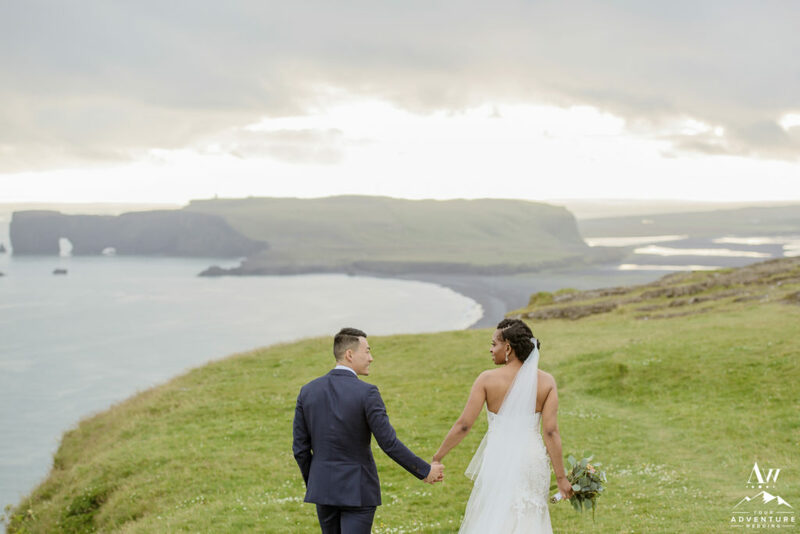 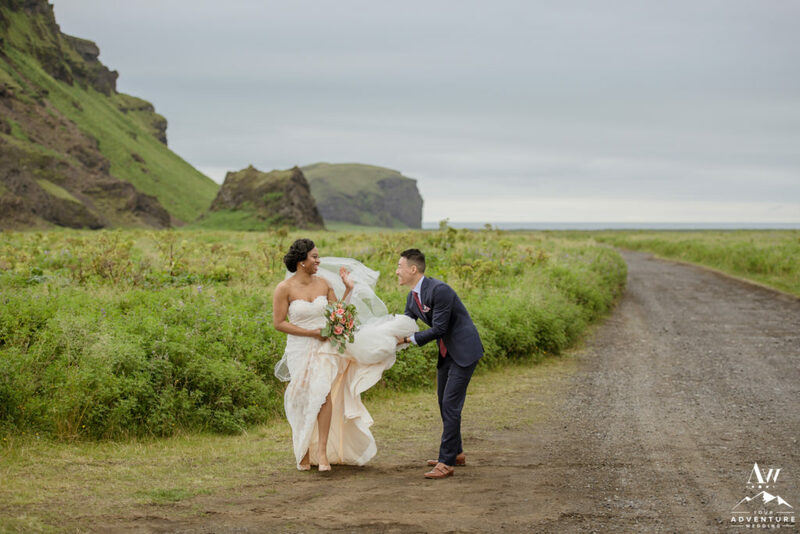 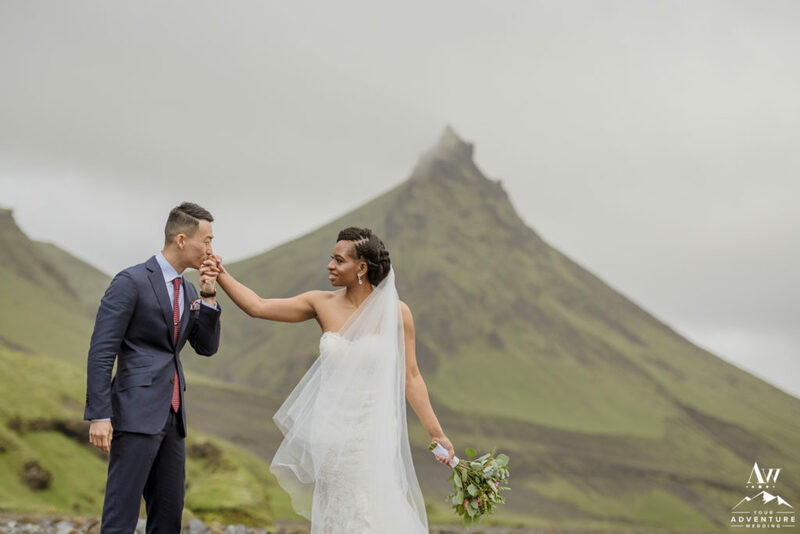 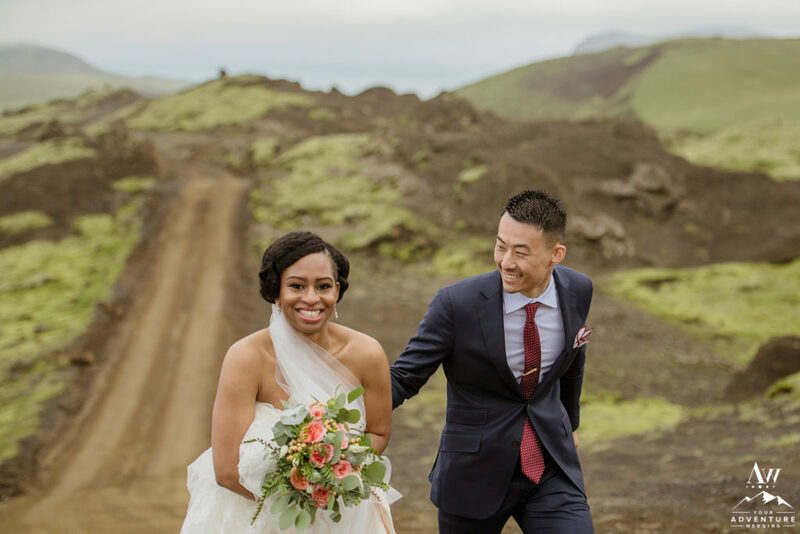 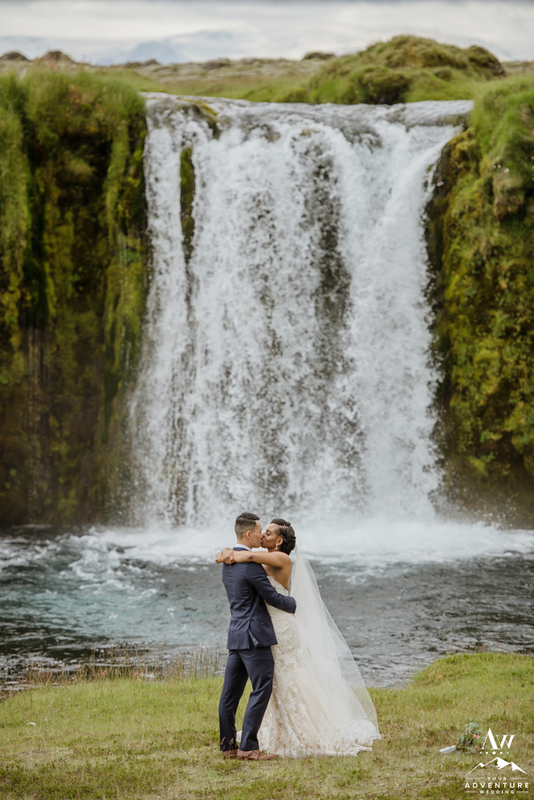 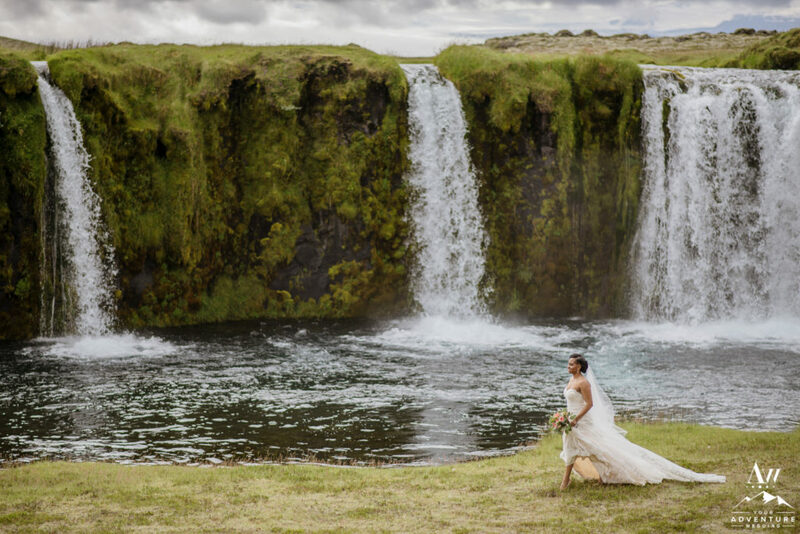 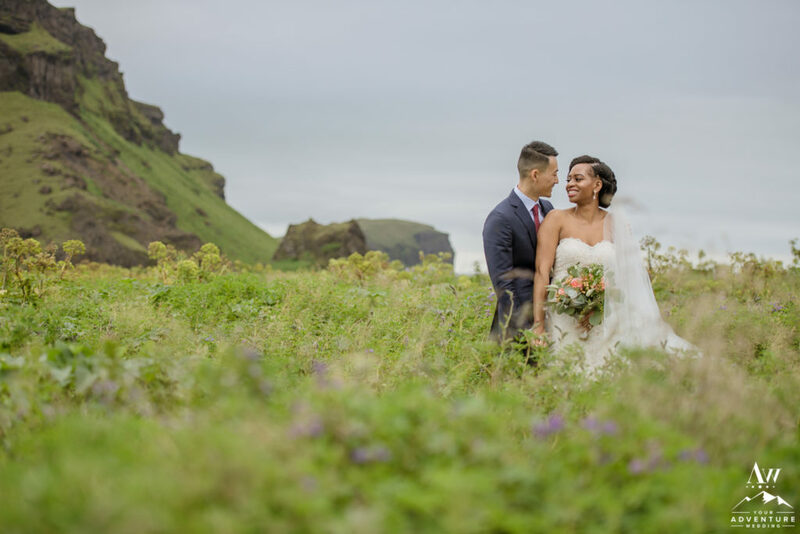 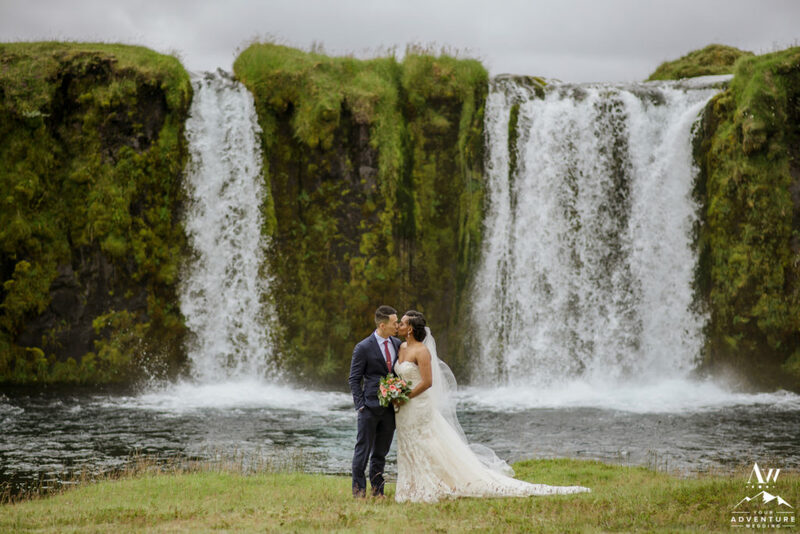 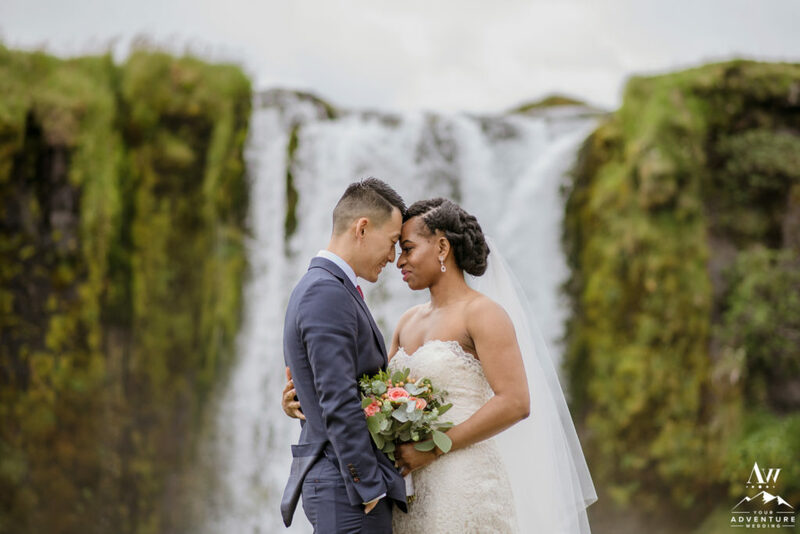 Didi had been following our Iceland Wedding Planner blog for a while and fell in love with several of our secret waterfalls and a few other locations. 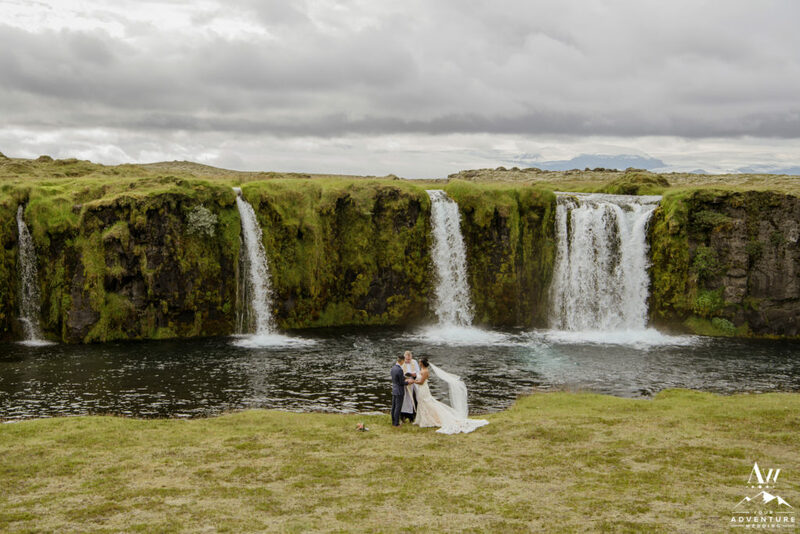 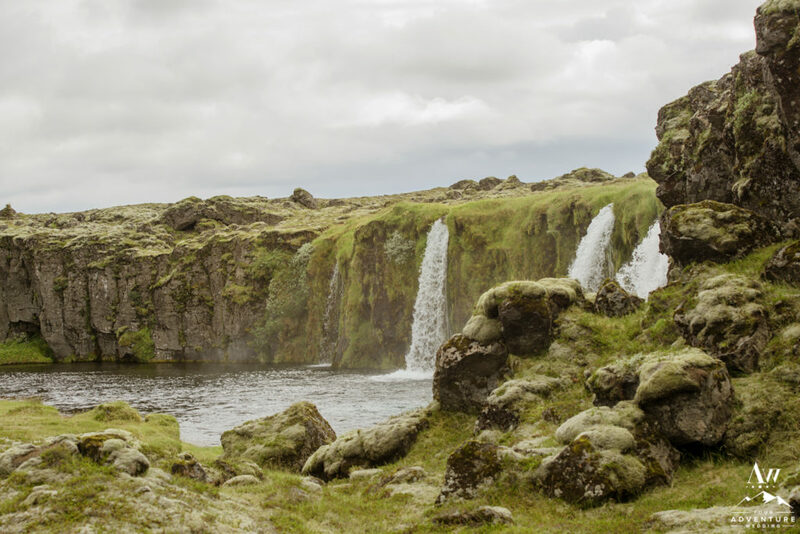 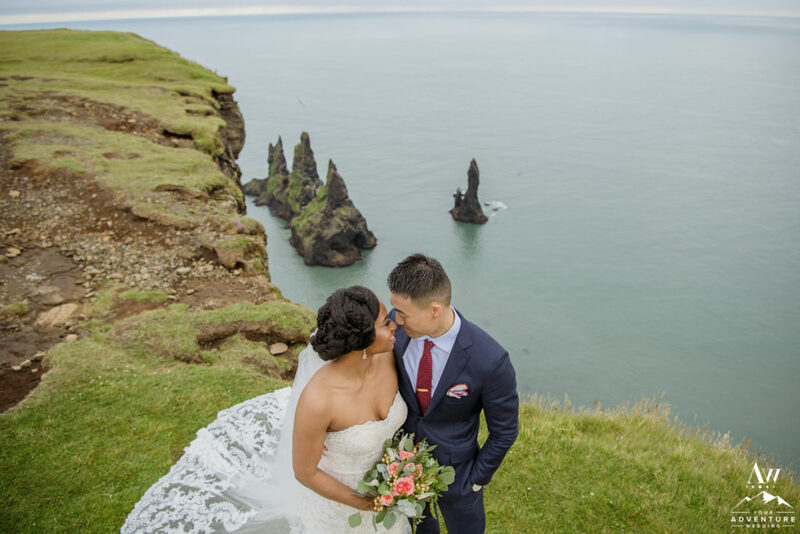 So come along with us today to relive their private waterfall elopement adventure in Iceland! 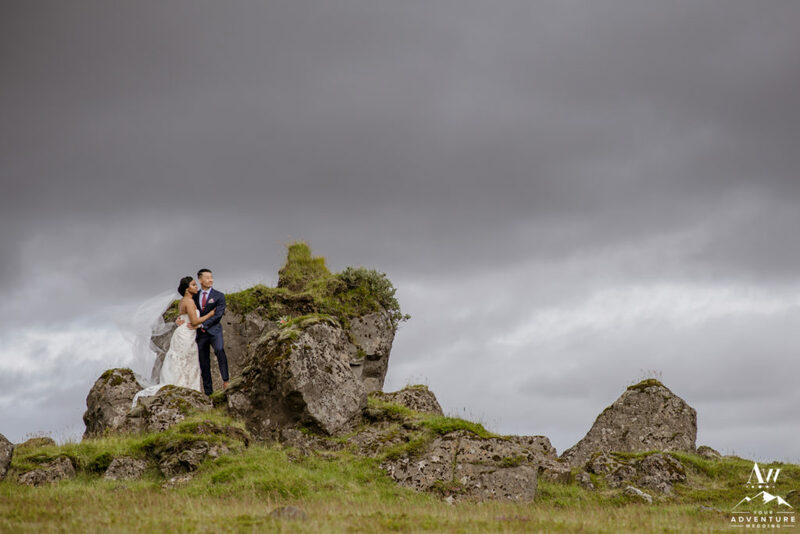 Nick + Didi had decided on Reykjavik as a base this summer, so it made having a 1/2 day (like 8-10 hours versus our usual 15-17 hours) Iceland adventure wedding a bit more desirable with the long drive into / out of the countryside. 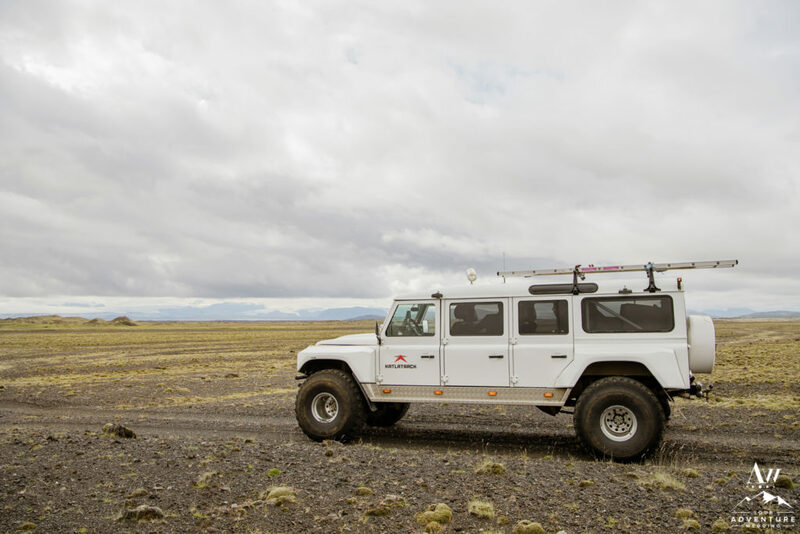 Luckily their awesome ride, just so happened to be our awesome super jeep team Katlatrack who owns the one and only custom 6-door Land Rover… Talk about luxury for an elopement in Iceland! 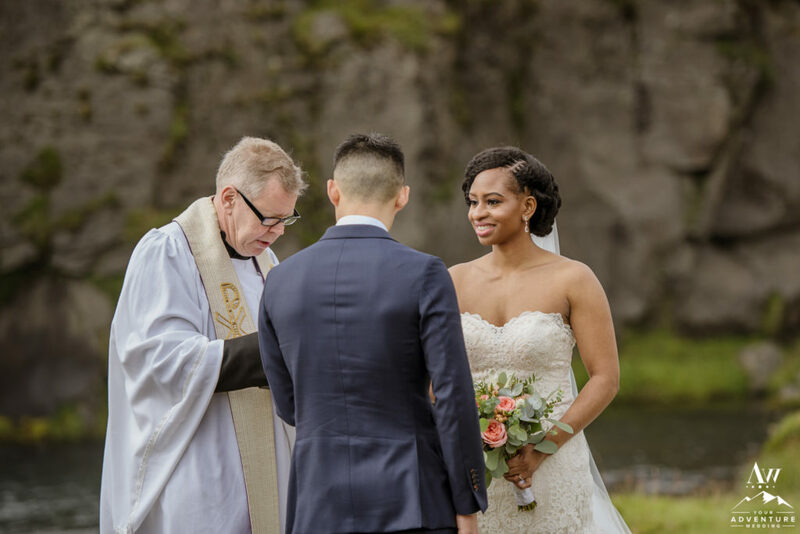 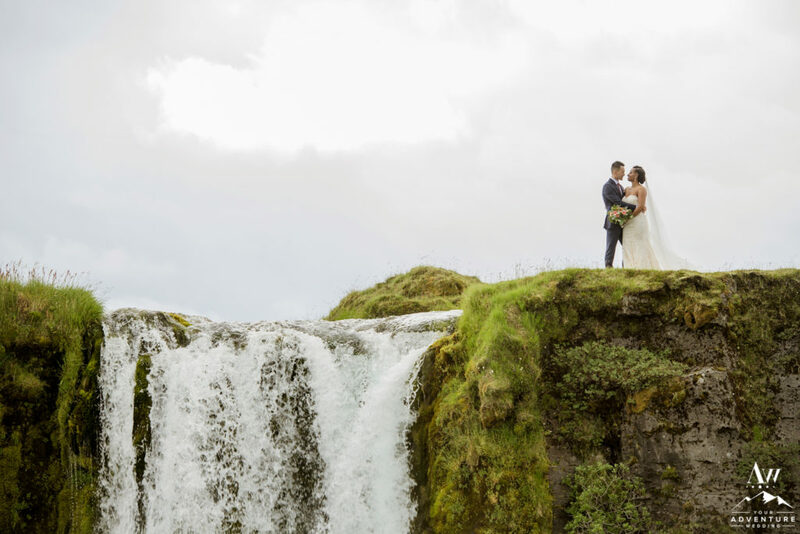 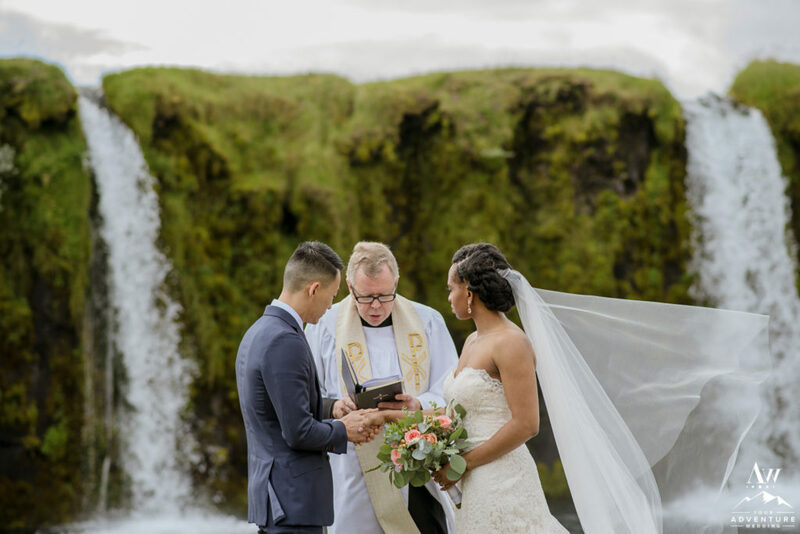 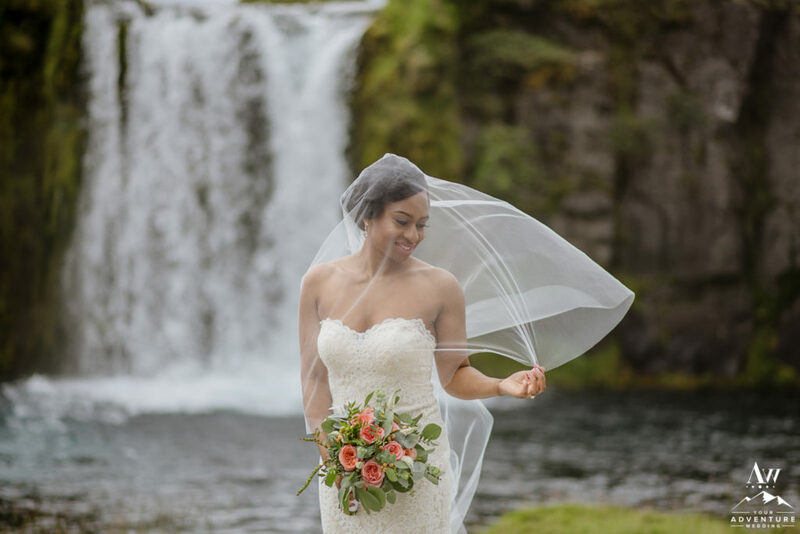 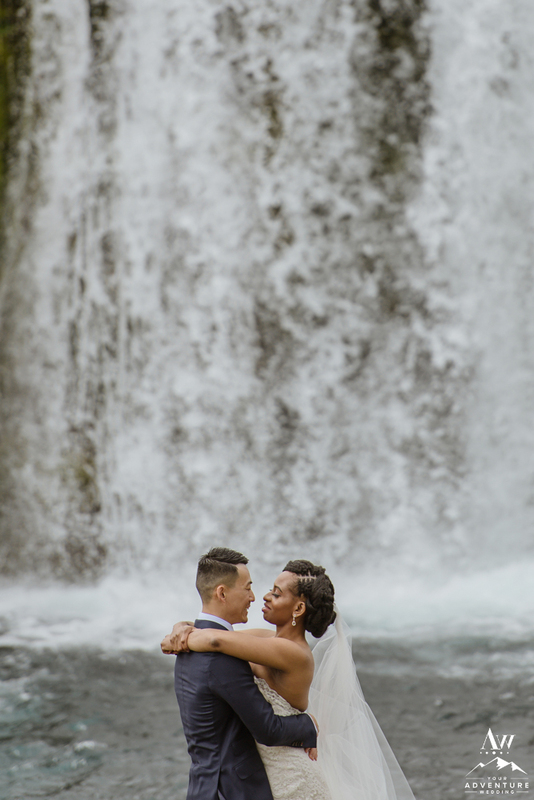 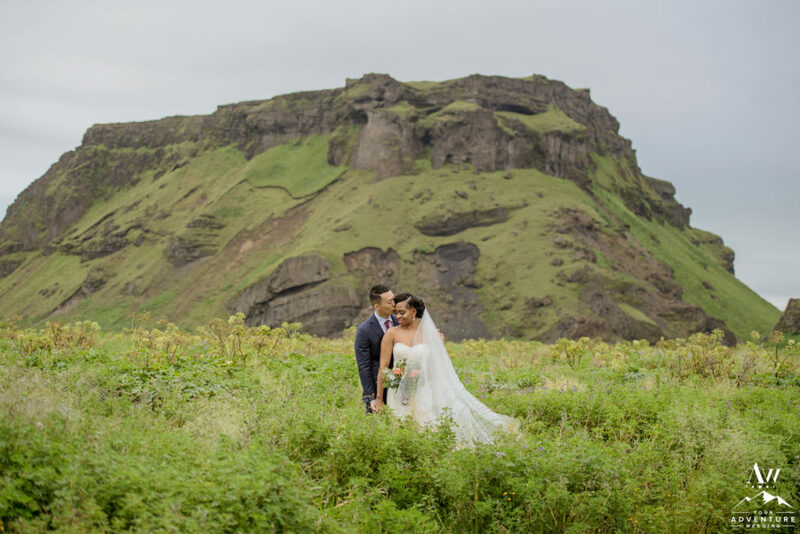 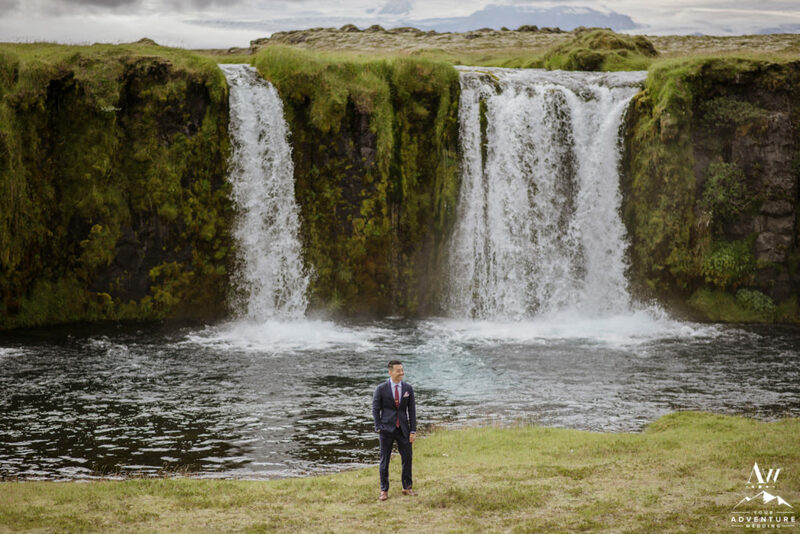 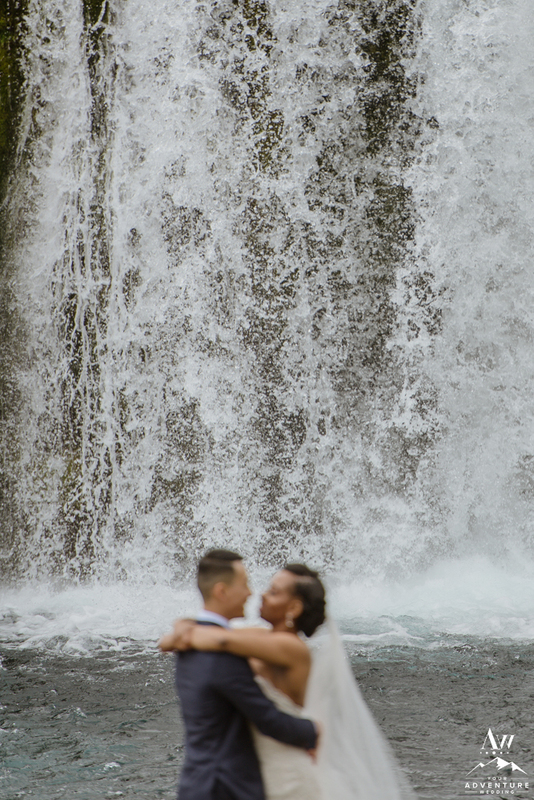 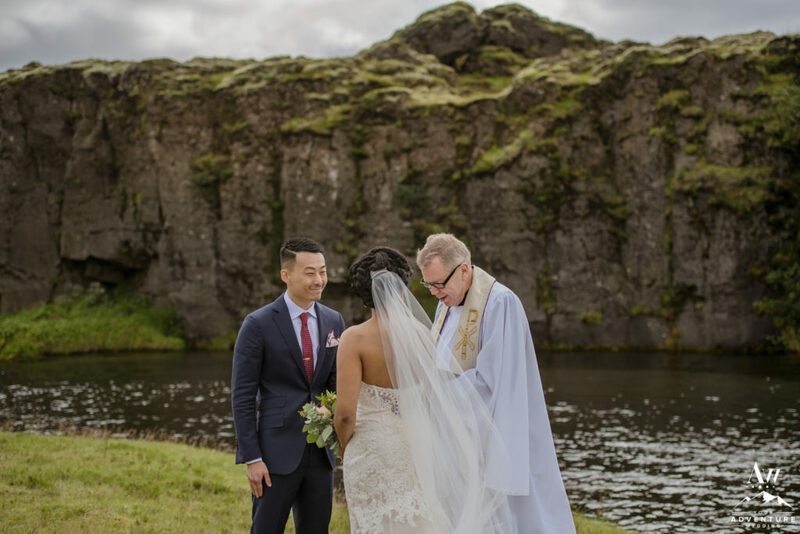 Didi and Nick began their Iceland wedding day adventure at a private waterfall they were totally marveled by. 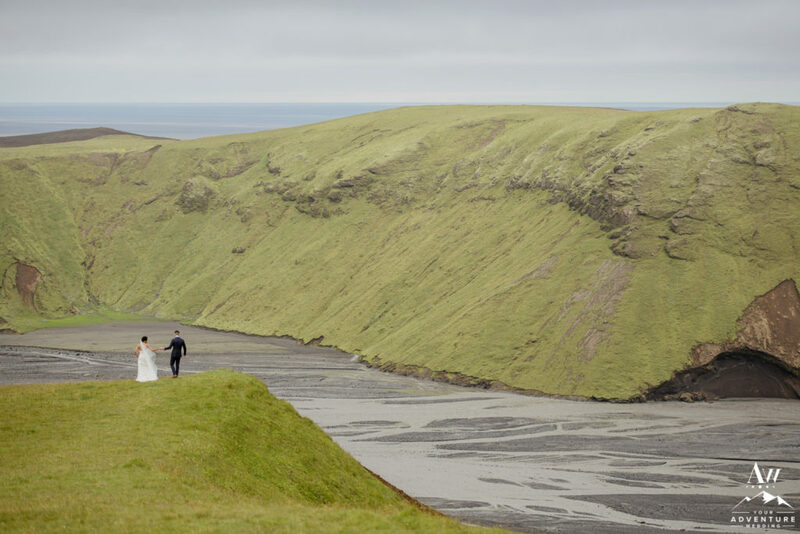 It was there, just as they had desired, that they professed their lifetime vows to each other. 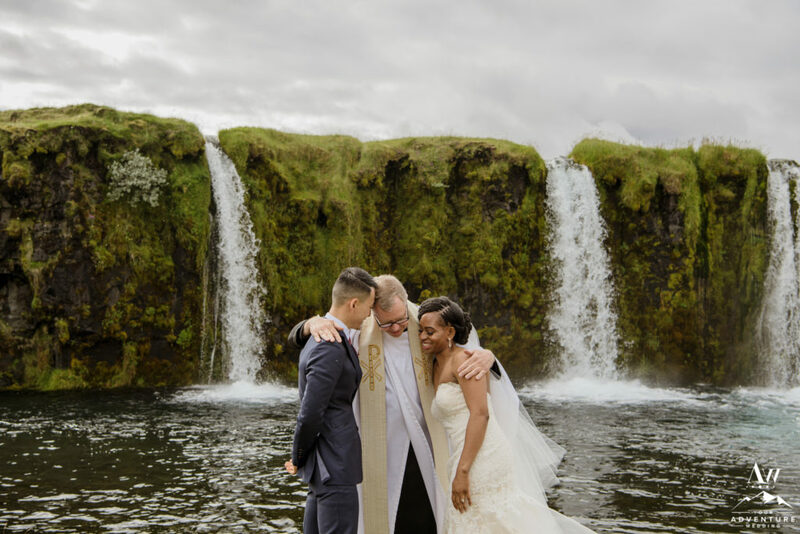 Afterwards, they explored the waterfall hand in hand! 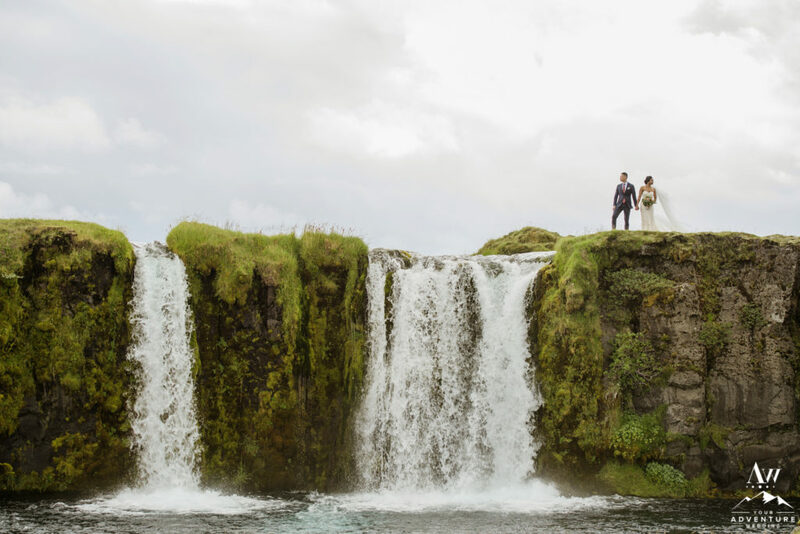 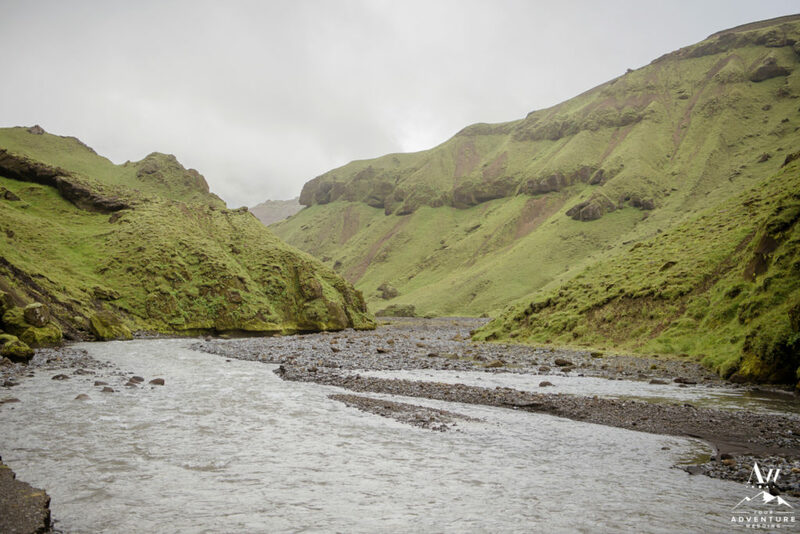 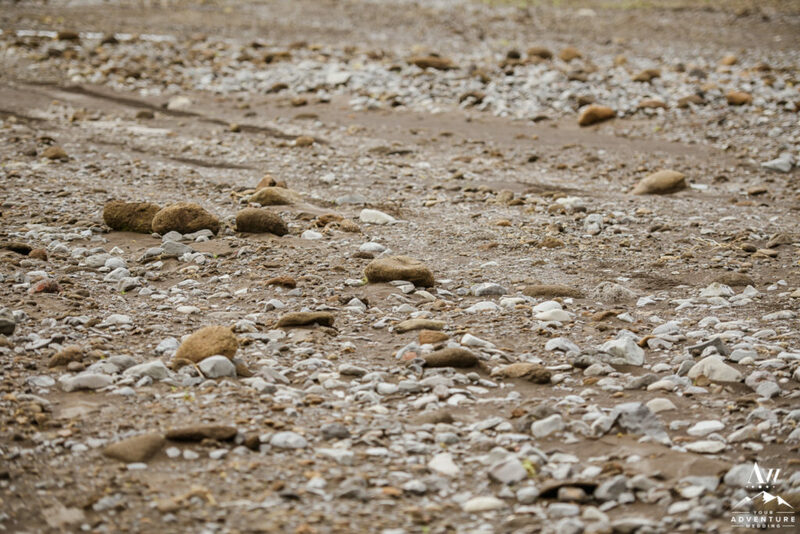 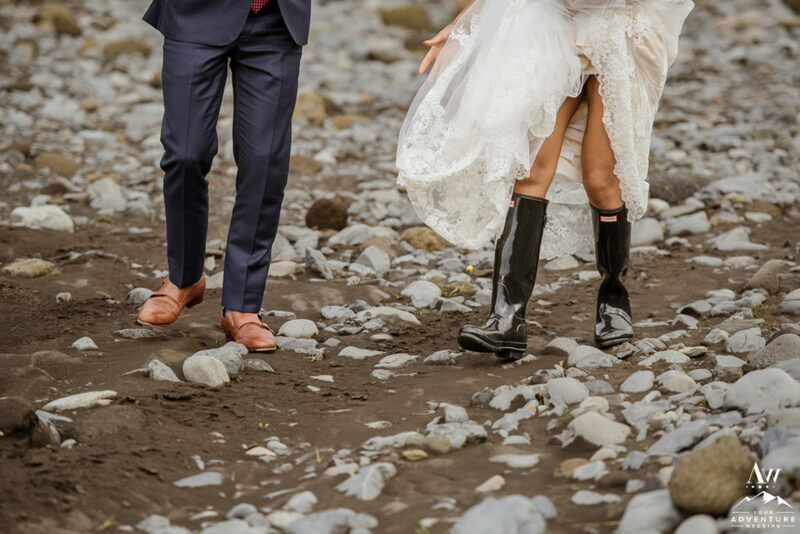 An adventurous elopement in Iceland would not be complete without the super jeep driving through deep rivers! 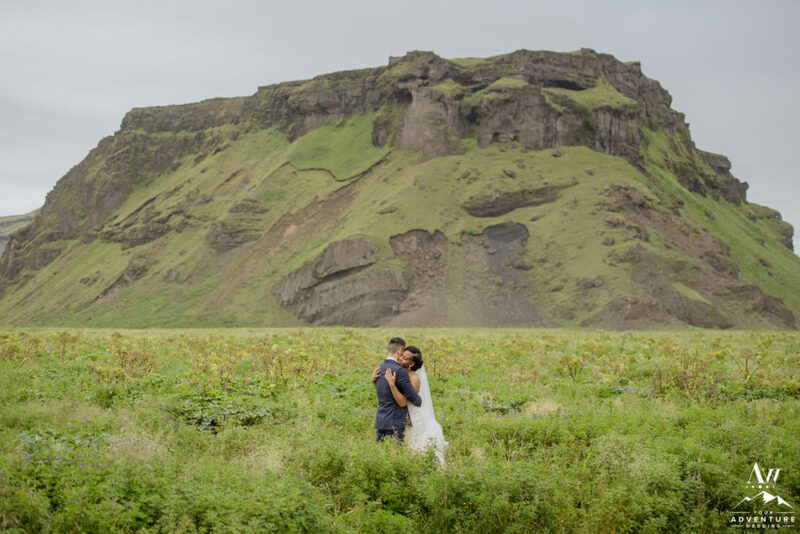 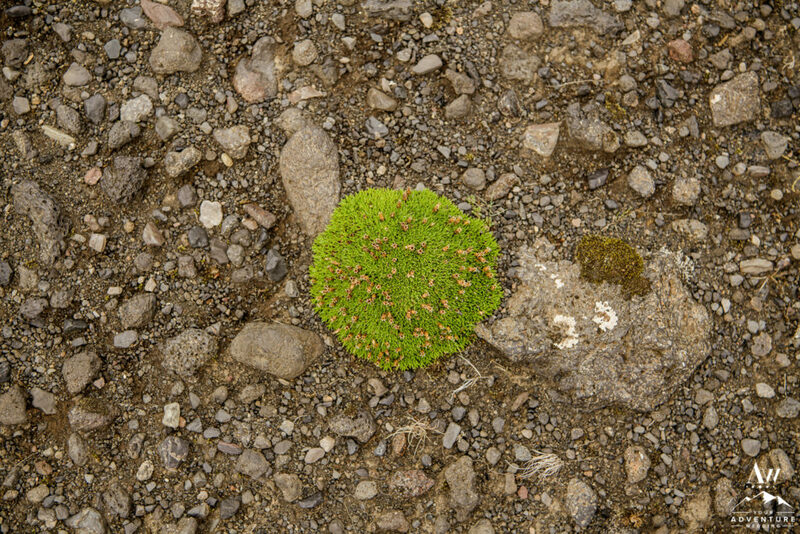 Their next Iceland wedding photo location required skilled driving through a gloriously green offbeat canyon! 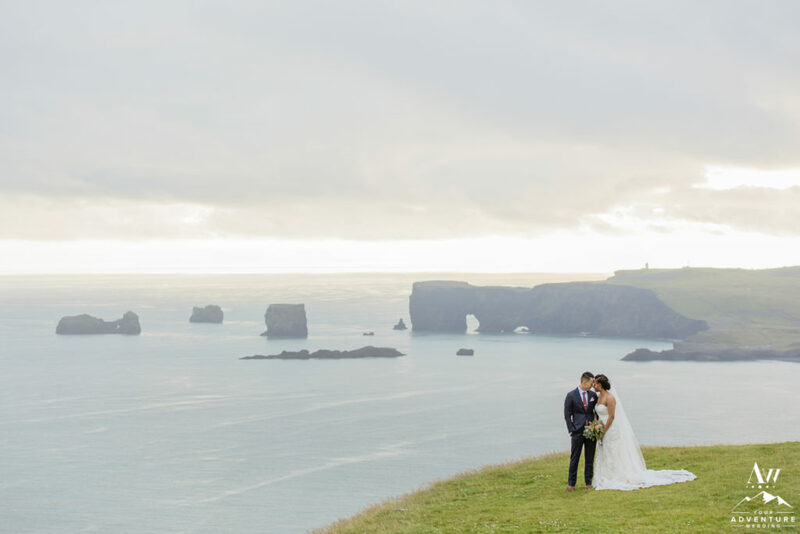 The amazing thing about Iceland summer weddings is that if the sunsets, it sets LATE. 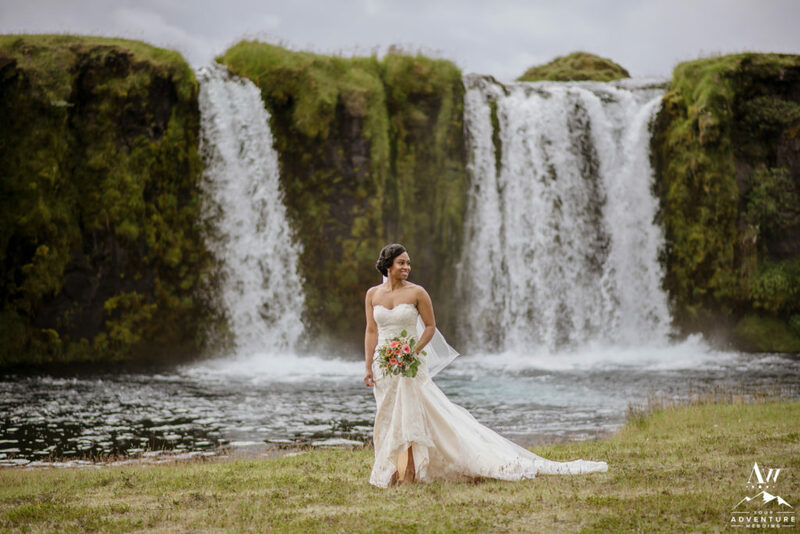 Which even with a partial adventure wedding day, we can pack in a ton of amazing locations that remain beautifully lit! 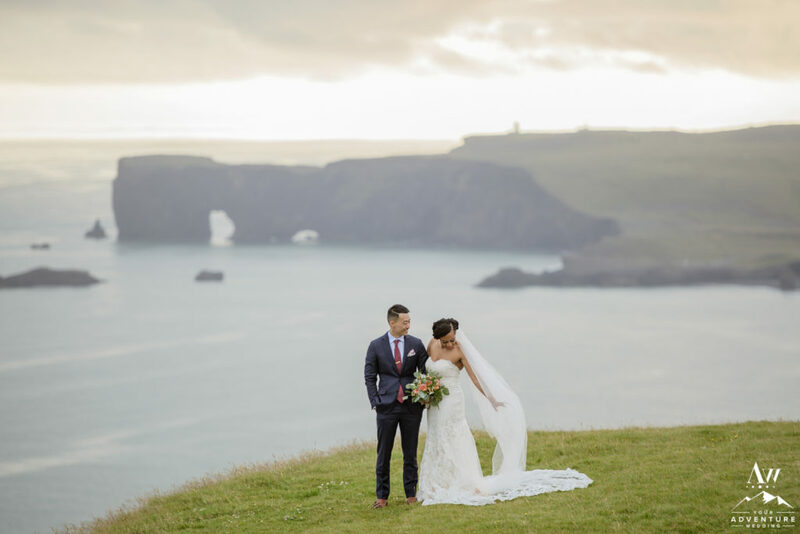 …and oh la la look at the ROMANCE that ensued too as the night winded down!? 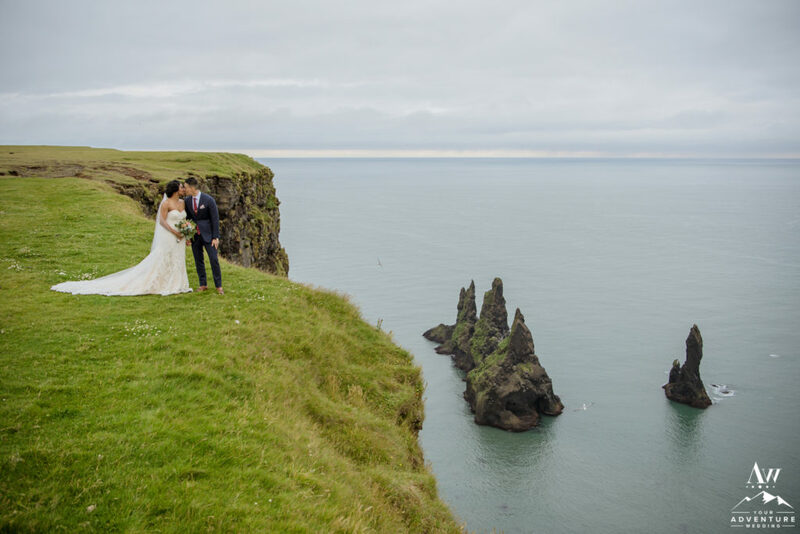 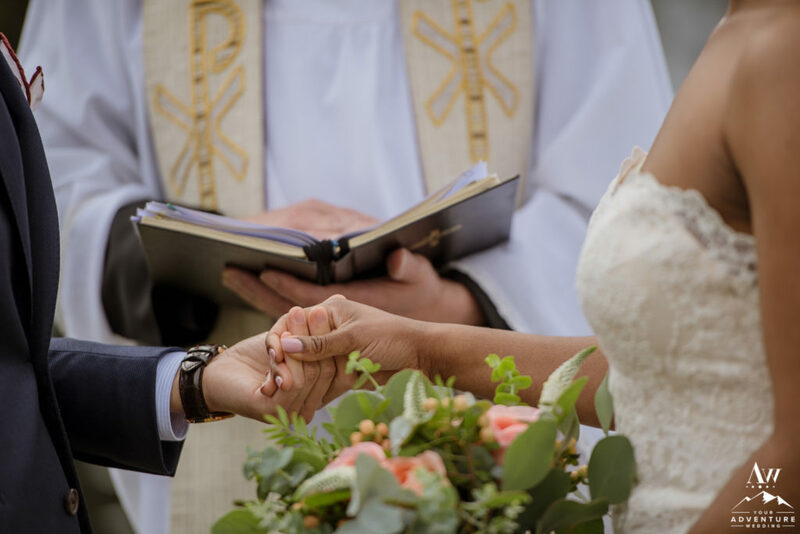 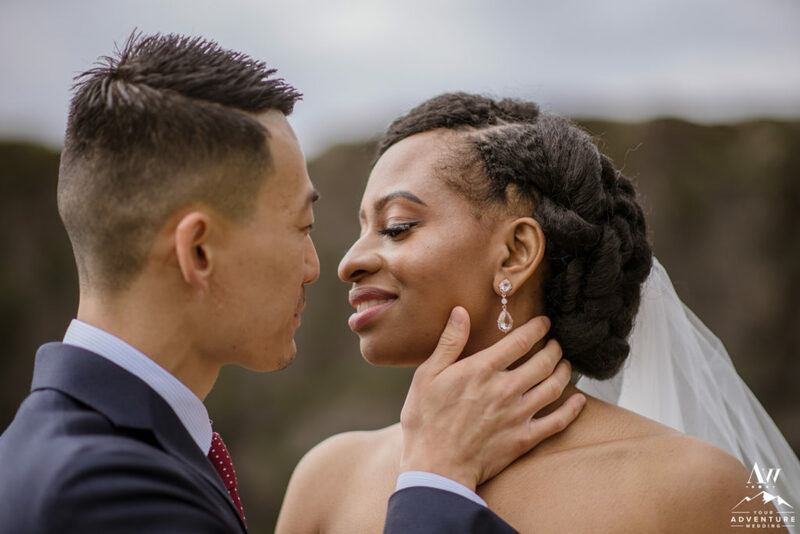 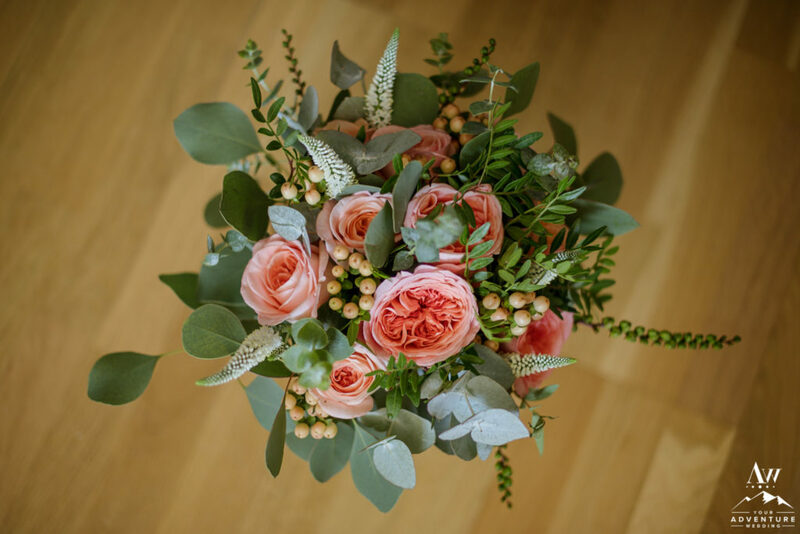 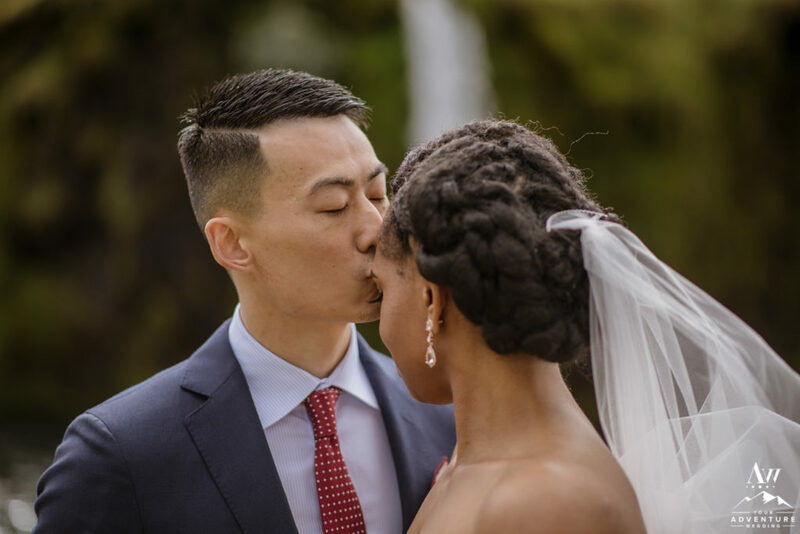 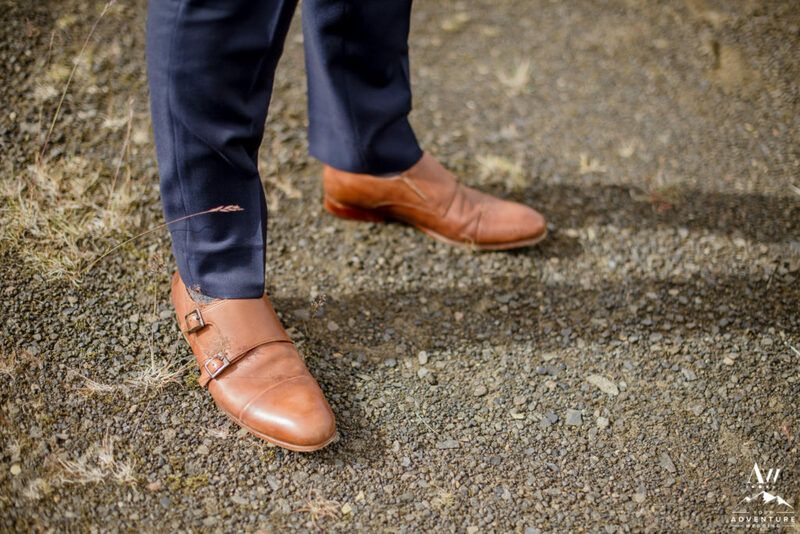 The lovely Storyboard Weddings recently featured their fabulous 1/2 day elopement HERE, check it out for more awesomeness! 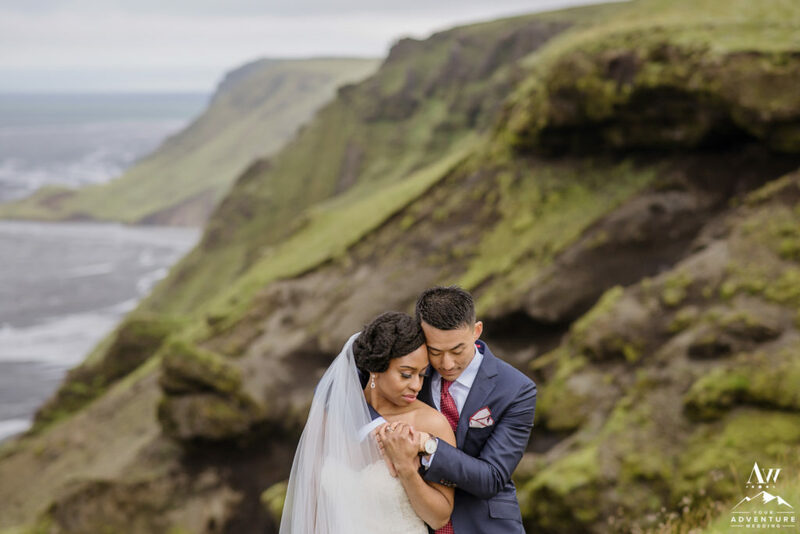 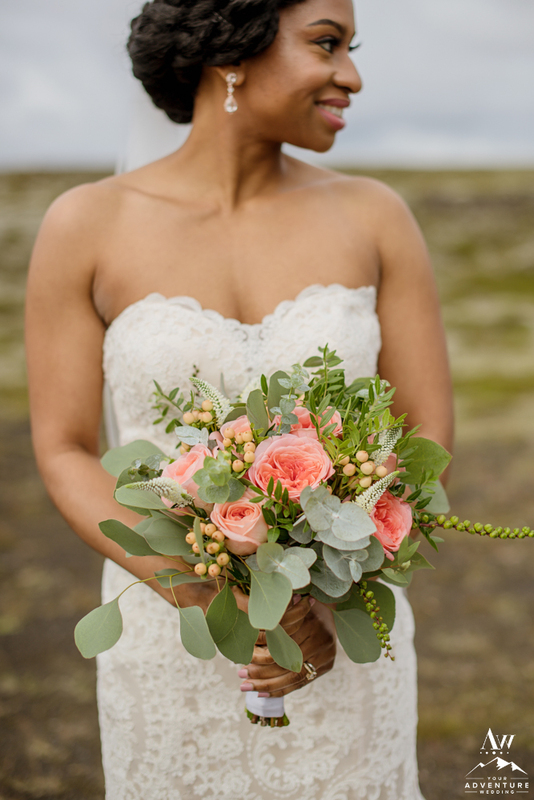 © 2017, Iceland Wedding Planner /Photos by Miss Ann / Your Adventure Wedding, All Rights Reserved.